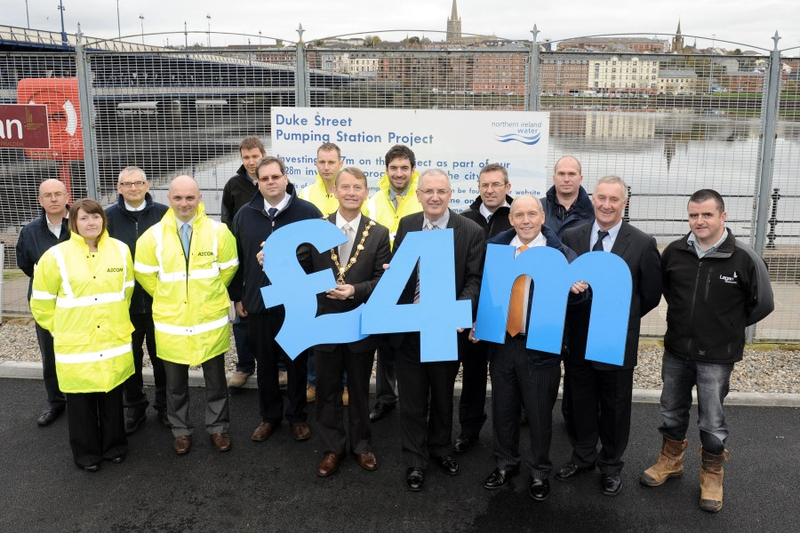 Duke St Sewerage Pumping Station (SPS) in Londonderry, was a £3.7 million, Design and Build contract which included three phases of work. Works involved the closure of the Victoria Road CSO’s and upgrade of four CSOs with mechanical screening but only after the replacement of Duke St SPS and the replacement and extension of the rising main, part of which was over the Craigavon bridge and up the busiest road in Derry. This critical SPS forwards sewerage from the Waterside to the Cityside and on to Culmore WWTW. The new 11meter deep SPS was placed on the existing car park at Waterside House, beside the existing station, the river, the bridge and beside the road. The Quay Wall Sheet piling plus support walls as well as numerous existing services reduced the footprint available to us. The existing pumping main was in the way and had to be temporarily re routed but there was just enough room for a new station. 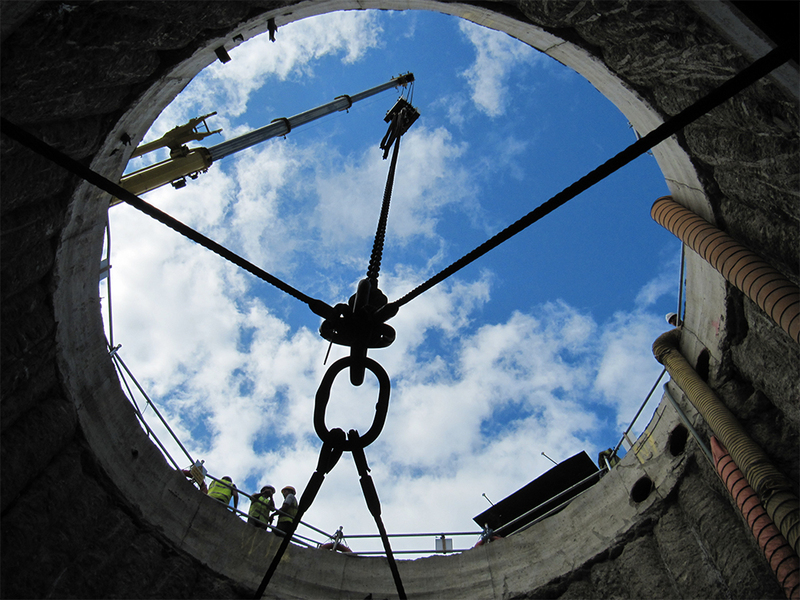 Following completion, Duke Street Pumping Station won the Utilities Infrastructure category at the 2012 CEF Awards. In addition, the ICE Ferguson Medal was won for best presentation, namely “Maiden City Sewers” presented by representatives from the project team.